The Toast counter system in action at a Boston restaurant. Steve Fredette encountered plenty of skepticism when launching the restaurant tech company Toast. One venture capitalist told Fredette he wouldn’t be able to sell to eateries, because the establishments would either not understand his technology, or be unwilling to pay for it. 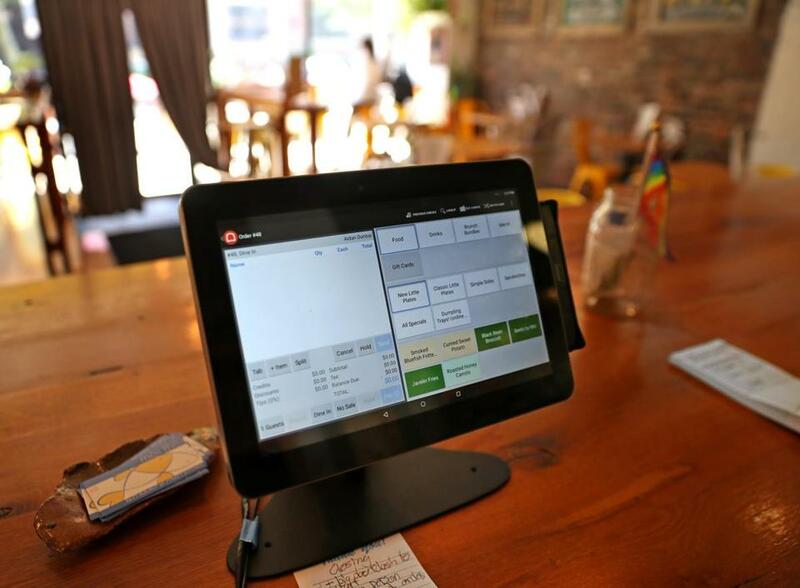 Six years later, Toast’s platform, which helps clients manage functions such as point-of-sale payments and order management, is in tens of thousands of restaurants — and the Boston company that Fredette co-founded says it is now worth $2.7 billion. Toast’s Monday announcement that it raised $250 million in new venture capital to fuel its growth was another piece of good news for the region’s exploding restaurant technology sector. Shortly after Toast’s news became public, ezCater, the downtown firm that operates a marketplace for catering services, said it had raised $150 million, bringing its value to $1.25 billion. Fredette said numbers like that illustrate how much attitudes have changed in the restaurant business in just a few years. Toast now employs about 1,500 people, half of them in its headquarters at the Landmark Center in Fenway. “Whether you want to call it a generational shift or just a technology shift that came along with a new generation. . . there’s certainly been a change to consumer expectations around technology,” he said in an interview. Boston’s tech scene is known for its strengths in bioscience, engineering, and enterprise software. But Boston startups are also cashing in as restaurants are using tech to change how they make food, manage their finances and staffs, and connect with customers. “There’s a lot of energy in the city of Boston around technology and restaurants,” said Nick Belsito, chief executive of OpenCity, a local company that uses artificial intelligence to help restaurants communicate with their customers. Many Boston firms have taken a crack at the restaurant industry. Foodler was an early innovator in online ordering. LevelUp penetrated the market with loyalty and payment programs. Spyce Food Co. is trying to remake the concept of fast food with its robotic kitchen in downtown Boston. But few startups reach the size and scale that Toast and ezCater have achieved. Venture-backed companies worth more than $1 billion are rare. Both companies say the size of the investments reflect the scale of the opportunity. “This is more fuel in the tank to keep the rocket pointed straight up and fast,” said Stefania Mallett, co-founder and chief executive of ezCater. She said the company has been consistently doubling its revenue every year. EzCater has a digital platform that helps buyers arrange orders through restaurants and caterers, sending them new business and helping them manage operations that require different menus and logistics from those built to handle one-off meals. The company has about 600 employees — 400 in Boston — and it is preparing to move this summer into a new headquarters downtown on Water Street. Executives offered several possible explanations for Boston’s emergence as a leader in restaurant technology. Mallett noted that New England’s many independent and family-owned eateries mean that many people have a baseline knowledge of how the industry works. Belsito suggested that Boston’s legacy of travel technology companies, such as KAYAK, TripAdvisor, Hopper, and Lola.com, helped pave the way for other forms of hospitality technology. For Toast, the challenge now is keeping up with the growth. Its $2.7 billion valuation is nearly double what it was last July, when the company announced it had raised $115 million in investments. The company plans to use the money to grow its technology platform. The company said it has tens of thousands of clients, and it believes the industry is hungry for more of its services.